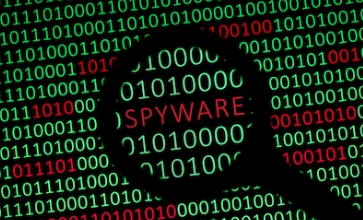 Almost everyone has heard of spyware, but what exactly is it? Spyware is a program that lurks undetected in the background of the computer while you use it. It can track everything from what you type into online forms (such as banking sites) to simply your browsing preferences. This program then transmits your information back to the spyware’s author, who can use it for any number of shady and/or illegal purposes. Mobile Spy is a mobile spyware —an app that is installed on a mobile device without the user’s knowledge. Adware is very similar in function to spyware. It can lurk in the background of your computer, transmitting your browsing preferences back to its author. These preferences are then used to send you targeted advertising. For example, if the adware detected that you often browsed online clothing stores, you might find yourself bombarded with advertising for other online clothing stores. What makes adware especially insidious is that you don’t even have to be using the Internet for it to send you more advertising. This can disrupt many aspects of computer use. We’ve all heard of viruses; they’re common enough that they make the big headlines in newspapers. A computer virus can do nearly anything to your computer, depending on its programming. It might simply create more popups (leading to a spyware/adware-like situation), or it could damage or even delete important data from your computer. Some of the worst viruses “hijack” your computer’s Internet connection and use it to send spam email and even to transmit your personal data back to the virus’ author.